Class Action Settlement for Illegal Kickbacks. Told Ya! I called it in 2007 when I said that those $60-90 “processing fees” were illegal “kickbacks” that Realtors and Brokers got for pushing Home Warranty companies. (see 2007 post). Why does this matter? 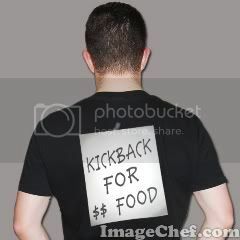 Kickbacks are illegal underRESPA (google it). And in case you missed it, our “Excellence Comes Standard” ™ client bill of rights #4 has always been, “No Home Warranty Kickbacks.” I know many might say “Duh, of course my agent should not be getting bribed,” but your Duh is not reality and yes agents get excited over $60. And yes it is only $60, but I think it signals a deeper problem of disclosure and fiduciary duty. (Focus Frank, focus) The settlement calls for about a $45 to $60 refund. Here is the tricky part. The settlement says those that qualify are “settlement class member’s purchase of the home service contract.” [sic] And supposedly people are getting letters from AHS telling them that they may qualify. But where are those letters likely to go to? To the home being warrantied! Who most likely bought the warranty? The seller! Ha. The seller’s contact information is usually nowhere on the application to purchase the warranty. So how do THEY get paid. I know, kinda boring and academic, but interesting to me. What now? What is the latest trick or workaround? Now the warranty firms (some stopped the practice) actually have the agent “do something” so it won’t be considered an illegal kickback. Not sure exactly what is done (if you know, add it to the comments). Probably it will entail having the agent walk around the house and check off boxes. Should have just followed my advice in 2007. Hartly is precious, he needs a brother or sister. If you weren’t such a narcissist you would see you don’t know what you are talking about!! Even NAR is fighting against HUD with regards to all of this!!! AHS actually settled the suit to PROTECT any brokerage, agent or homeowner from being sued again up through 2011. 3 other major warranty companies have suits filed against them as well. On May 18th, a Federal Judge proclaimed that the new program that AHS has in place IS RESPA compliant!!!!! What do you have against warranty companies, title companies or mortgage companies. It seems you spend more time trying to cause issues than selling real estate! One more thing…receiving “marketing fees” is NOT a violation of RESPA! Read section 8(c)!!!! Here is my inline reply to Kimberly who is a “Home Warranty” rep. If you weren’t such a narcissist you would see you don’t know what you are talking about!! F > Ouch. But ok, I can take it. Yes, I have been saying for years that the illegal kickbacks are dispicable. The practice of Realtors influencing their clients to buy a $400 warranty, in part to get a $60-$90 kickback. So I got a little cocky when a suit was settled in the matter. I’m sorry, my attempt to be entertaining didn’t seem to bode well for everyone. Even NAR is fighting against HUD with regards to all of this!!! F > Yes I know that. NAR is freaking out to save their members from massive liability because of all of their illegal kickbacks. So sure they are going to take the position that there is nothing wrong with getting payment for recommending warranties. AHS actually settled the suit to PROTECT any brokerage, agent or homeowner from being sued again up through 2011. F> Homeowner? Why again would they be sued? Yes of course the brokerages probably freaked out on AHS and said “make this go away or we will never sell your policies.” Of course they had to take the hit. I have not seen where in the settlement where it indemnifies the agent and broker, but I bet it does. So we agree. F> For those that don’t know the details of respa, my non-legal understanding is the violation is 3x damages for each party involved. So if you count the $90 kickback as damages, you would multiply that by 6 (Broker + HWC) and come up with $540 in damages (vs the $45-60 settlement). (some argue the entire $400 would be the damage since the client might never have bought the warranty without the agent’s pressuring them to buy it). 3 other major warranty companies have suits filed against them as well. F > Actually 4, but yes. On May 18th, a Federal Judge proclaimed that the new program that AHS has in place IS RESPA compliant!!!!! F > I would love to see what you are referring to exactly. There are many statements put out by HUD that say otherwise and then add an “however, if.” You must be referring to that. F > So that is the technicality. 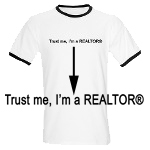 Have the Realtor walk around the house and perform “real” services and then they can get paid. What do you have against warranty companies, title companies or mortgage companies. It seems you spend more time trying to cause issues than selling real estate! F > With HWCs, my issue is the kickbacks. If your product is so good, why do you need to bribe the Realtor to push the product? Stand on your own merrits. F > Title companies. I love the title company I mainly use. But yes, I have problems with title companies that are backwards and can’t do modern day things like send commissions via wire. Instead they fed ex and paper checks. Give me a break. F > Mortgage companies. I don’t remember knocking them. Realtors should just do their job, which may or may not include mentioning the buyer’s home warranty options. That is their job. No need to get paid to push a particular company. Frank, I remember you writing that piece 4 years ago. What I’m waiting to see is if anyone will go after RE brokers who charge exorbitant ‘admin’ fees. I feel as though the Busby RESPA suit/verdict has been brushed under the carpet by many. The agent who sold the warranty and got the $60.00 from AHS, from my point of view was not a respa violation as long as that agent “disclosed” that he or she was getting paid from AHS for promoting that warranty to either the home buyer or seller. I sodl several home with a warranty form AHS, and still do. I did not use AHS when they were paying a small portion ot the agents for the $60.00. I used them because ofthe service my clients got, and I still use AHS. They do not hold my buyers for lack of maintance from former sellers. RESPA clearly states that disclosure is NOT an excuse. Let me repeat that. It remains illegal even if you disclose it. Now what? Guess you gotta go return all those kickbacks. I’m with you, Frank. I was once with a brokerage that went out of their way to have a HWC run-off to see which company would be the “preferred” provider and pay a “fee” back to the agent. I always gave more than one HWC brochure to my buyer (or, seller) and let them decide. Needless to say, I never was paid a HWC “fee” for one of those policies being sold.